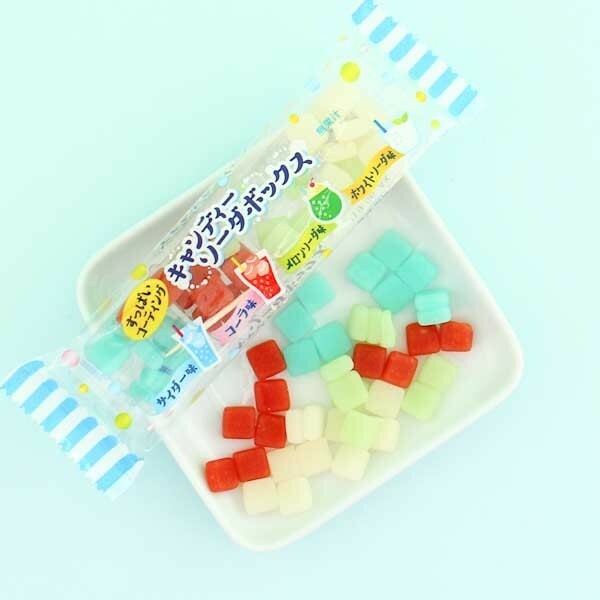 This colorful mini-mochi set from the Japanese manufacturer Kyoshin is full of different soda flavors! 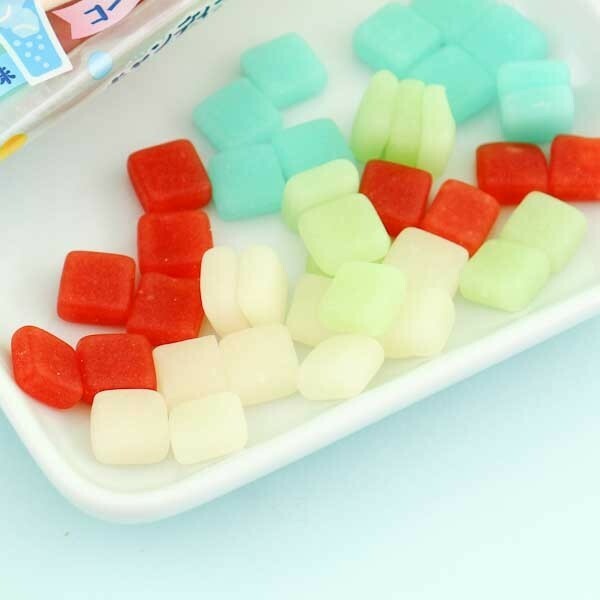 The candies have a soft texture - similar to mochi rice cakes. Each package comes with a toothpick, so it's easier to enjoy every taste one by one. Tastes featured are Coke, Ramune, Melon & Milky sodas! Yum! The pick is a nice Gimmick but its very hard to actually pick one threat with it.